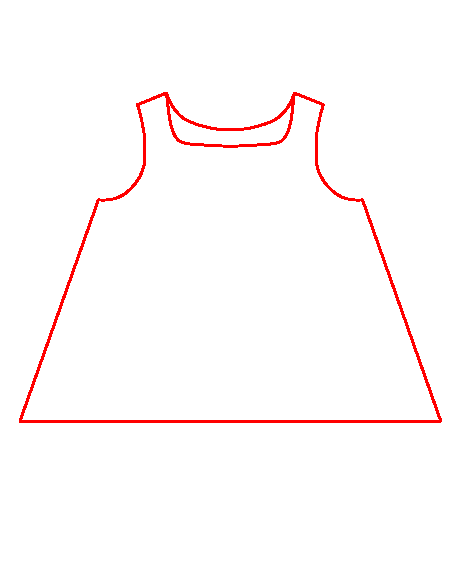 As I mentioned in the previous post, the first step in this project is to create a basic sloper or bodice. By this I mean draft it, sew it, try it and then make modifications until it fits well. Modifications are usually done on the muslin and then are transferred back onto the paper pattern of the sloper. What you want to end with is the pattern (front, back, sleeve) you will then use to draft any other design. 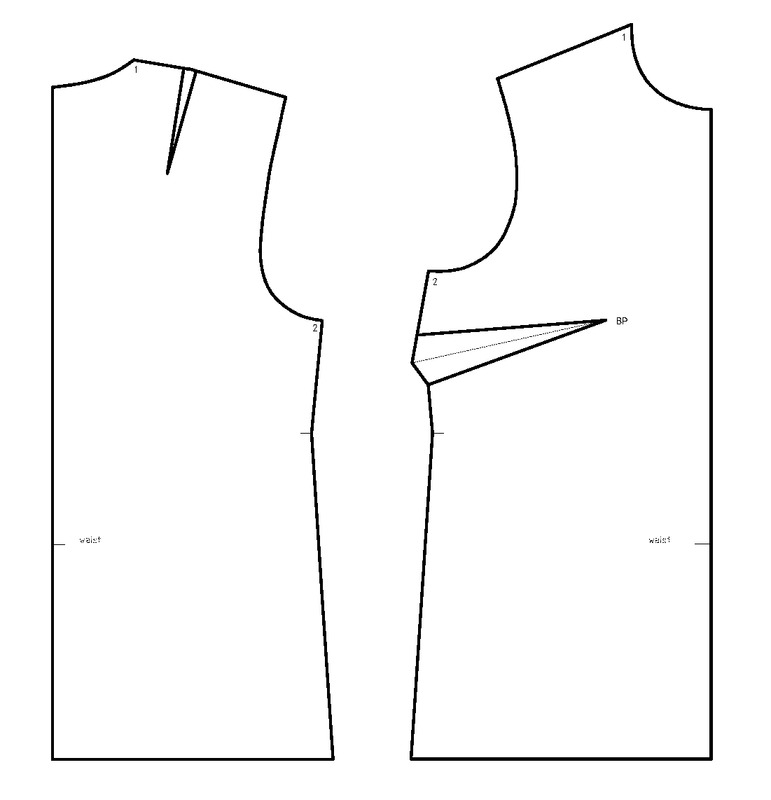 Next: in week 1 I will be drafting the very first actual pattern using this sloper. 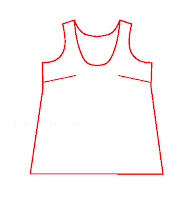 It will be a basic sleeveless top. See you then. I have been following your blog for quite some time now. I learnt a lot, thank you. I saw that you use CADuntu, which has become LibreCAD now. So, I downloaded the software and started drawing my own. I have previous experience with CAD softwares. So, it was not difficult for me to draw. But I cannot print it at 1:1 scale. Every time I try to print, it scales down the drawing so that it fits my A4 paper. How did you print your patterns out at 1:1 scale? Did you use full size paper? That was the trickiest part of all. I created a grid of rectangles that are about 1.5 cm smaller than A4 on all sides and then overlayed the pattern over the grid. Then I created separate "blocks" for each rectangle, with all the lines of the pattern than fit within the rectangle. Each rectangle then becomes a separate page to print. Then I hide all but one "block", and save that block as a separate pdf. I go through all blocks like that, and have a number of pdfs at the end. Then I print pdf separately. That is the only way I know how to break up a drawing - which is always bigger than an A4 page - on separate pages, to get it at 1:1 scale. That's how I created the patterns that I made available for download. I don't know if there is an automatic way of printing - but I could not find it.